The CMS allows recruiters to update organization and personal contact profiles, view an online calendar of HT and Austin area career related events and register online for career events (i.e., Career Day, Internship and Career Fairs, as well as, Graduate and Professional School Fairs.) The CMS also allows an employer to review and/or update employment opportunities posted by the HT C&GDC for the employer and the ability to post positions themselves. Please note: Recruiter contact information is not shared with students without prior permission. Employer Opportunity Recognition provides recruiters’ ideas and contact information for disseminating opportunities to our students, alumni, faculty and staff. 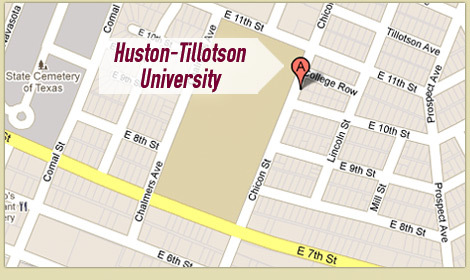 Click here for driving directions and a map of the HT campus. 512.505.3041 at least two weeks in advance.